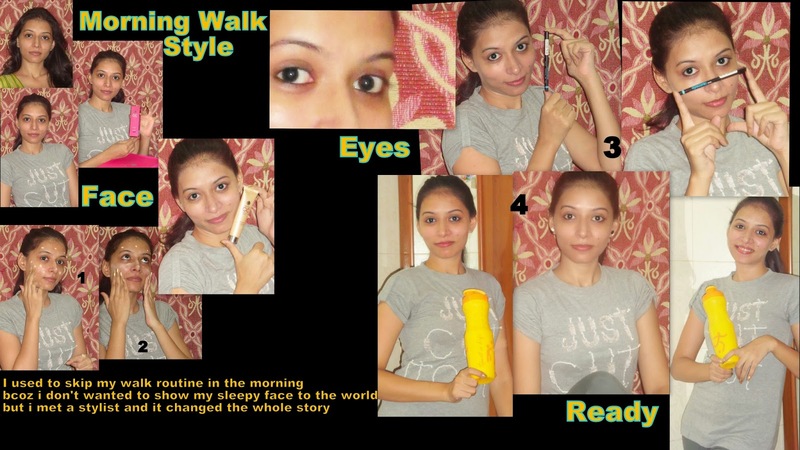 Giveaway dose: Guest Post : Walk n Gym- Hit in Style ( Look n Style) ! Guest Post : Walk n Gym- Hit in Style ( Look n Style) ! Morning face is something that stopped me many a times from going out in the mornings as i have an oily skin which gives me a chip-chip face at the start of the day. So when it comes to go out for a walk or hitting gym i would be worried but later i discussed with my like minded friends and came up with this super easy tutorial which is an instant solution for my styling needs. Skipping my health routine is an old story now and now no skip and i enjoy it totally. Save my skin from sun so it was what i waited for. I am currently trusting upon lakme eyeconic kajal which is easy to apply and highlight the eyes in one stroke. I applied Burtbee mint lipbalm on lips which i almost a big fan of. I have really oily skin, very helpful post.. Really!! Its like some benefits and some worries which the oily skin offers. I am having a giveaway on my blog!